A ground fault circuit interrupter is a protective device specifically designed to break the circuit every time there is an imbalance between incoming and outgoing current. The GFCI outlet protects electrical wiring and receptacles from overheating and possible fire, greatly minimizing the risk of shock injuries and fatal burns. It also detects ground faults and disrupts the flow of current but should not be used to replace a fuse as it does not offer protection against short circuits and overloading. The GFCI is integrated in the electrical outlet and constantly tracks the current flowing in a circuit to sense fluctuations in real-time. It has three holes: two of the holes are for neutral and hot wire and the third hole in the middle of the outlet serves as a ground wire. If it detects any change in the electrical flow in the circuit, it will immediately cut off the flow of electricity. So, if you are using a hair dryer for instance and it slips into a sink that is filled with water, the GFCI outlet will immediately sense the interruption and cut the power to ensure electrical safety in the bathroom and beyond. GFCI outlets are important, especially when the electrical outlets are positioned close to water. Installing GFCI outlets in your kitchen, bathrooms, laundry rooms, pool house etc., is a good idea. Apart from being an essential preventive measure, the law also requires you to have GFCI outlets installed throughout your home. According to National Electric Code (NEC), all homes must be equipped with GFCI protection. Initially, it was only required for you to install GFCI outlets near water but this requirement has been extended to cover all single phase outlets of 125 volts in recent years. GFCI outlets should also be installed on temporary wiring systems during construction, renovation or maintenance of structures that are using power temporarily. The ground fault circuit interrupter is essentially designed to avert ground faults by immediately disrupting the flow of current from the outlet. This is why periodic testing is very important to ensure that the GFCI outlet is functional at all times. If the GFCI outlet is tripping often, it probably needs further investigation by a certified electrician as it could also be a result of worn out insulation, accumulated dust, or deteriorated wiring. The face of the GFCI outlet features two small buttons that are labeled test and reset. Simply press the test button and this will trigger a snap sound which indicates that the outlet has tripped. Once the power trips, you can check the efficiency of the GFCI unit using a voltage meter. Now plug in a device into the outlet and when it stops working, press the test button so you can be sure of the safety mechanism. While these DIY instructions are easy-to-follow, they do require that you are familiar with and understand the functioning of your home’s electrical system. 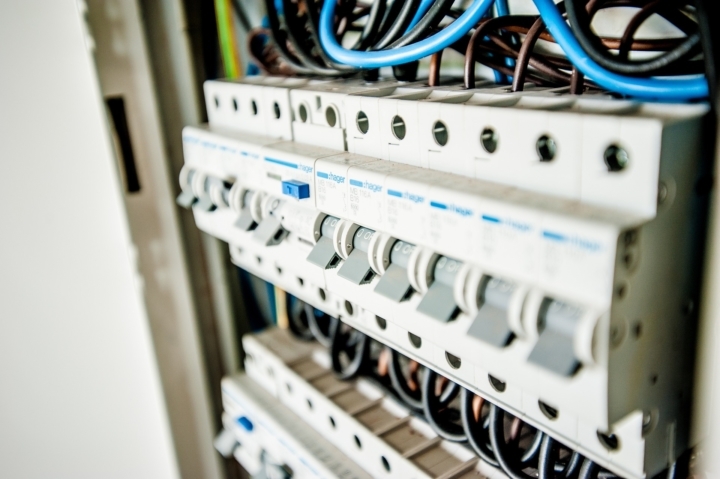 It is always recommended to work with a certified electrician who can ensure that your system is in compliance with relevant codes so your home remains guarded against electric fires. Electrical shocks and electrocution are the major risks that you can be exposed to through electrical devices at your home. This becomes a bigger concern if you have kids who can unknowingly touch the appliances and get a shock. A GFCI outlet helps in preventing shocks and electrocutions as it has a built-in sensor that monitors the inflow and outflow of the electricity from any appliance. If a live wire inside the appliance comes in contact with the metallic surface of the appliance, you will get a shock when you touch it.However, if you plug the appliance into the GFCI outlet, then it will notice if there is any change in the electrical flow which may occur due to a loose wire and it will instantly shut down the power. They will be heavier on your pockets as compared to regular outlets, but the safety advantage will definitely outweigh the cost disadvantage in the long run. One of the main functions of a GFCI outlet is to detect the ground faults, which occur when the flow of electrical current leave a circuit. They are responsible for causing electrical fires. When you install GFCI outlets, you are effectively preventing electrical fires from occurring. You might argue that electrical fuses also provide basic protection against electrical fires, however, when you combine them with GFCI outlets, the chances of electrical fires erupting and harming you and your loved ones will almost reduce to zero. There is a good chance that the insulation of an appliance will break over time. If not a break, there will certainly be a few cracks in the insulation. Some amount of electric current starts to leak through these cracks into the appliances and other electronic items. If the appliance’s outer body isn’t metal, then you won’t get a shock but the constant leakage of the current will damage the equipment in the long run. If it has a metal body, then you will experience electric shocks as well.However, when you have an appliance connected to the GFCI outlet, you can quit worrying about your appliances getting damaged due to leaked current. The GFCI circuit will detect the leak and shut down the circuit, preventing electrical leaks from damaging expensive equipment and appliances. You can save a lot of money by not having to constantly repair or replace your damaged electrical devices. Install GFCI outlets, both at your home and workplace, primarily for safety reasons. Remember to get them installed only from the licensed electricians and professionals. You cannot put a price on the safety of your loved ones and GFCI outlets will offer you a peace of mind in that aspect. We, at D & F Liquidators have high quality GFCI outlets that you can install at your home at competitive prices. Contact us to know more.